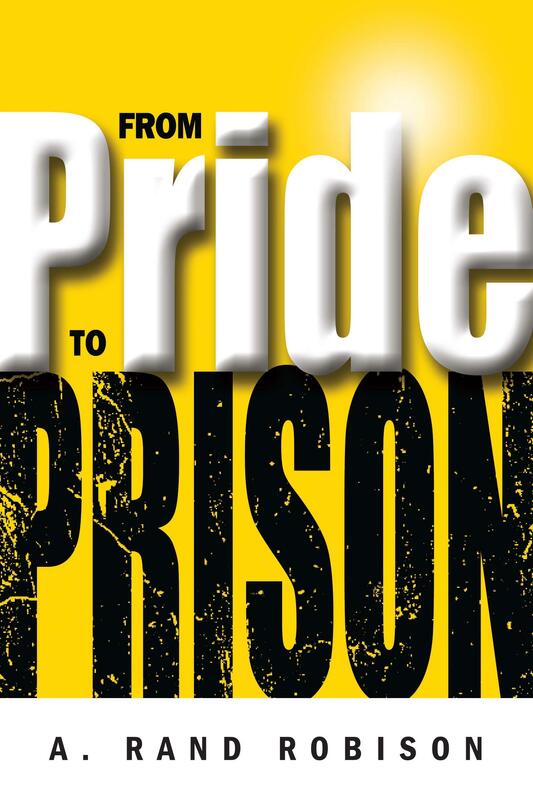 “From Pride to Prison” details the author’s experiences as a cautionary tale about what pride can do to a person. He also shares valuable lessons in the hopes of reminding readers that making wrong decisions or actions can have its consequences no matter how big or small they are. Through his book, the author reminds readers about the value and importance of humility as well as striving to always make the right decisions in life. Through his story, A. Rand Robison reminds readers that pride can be a terrible thing and that it can ruin a person’s life in ways that one could not imagine. He openly writes an honest memoir that details his eye-opening experience in prison and hopes to enlighten each reader about the realities of the country’s justice system. “From Pride to Prison” brings readers to the author’s viewpoint as he went through the consequences of being convicted of insurance fraud. He tells about the riveting reality about his grave mistakes and the price he had to pay for it. The author’s story is full of humor and tears that will make readers learn that life’s greatest lessons often come from hard and difficult experiences. Along with sharing his experience, he also aims to spread awareness about how inmates are being treated in prison and many other aspects and realities about the life behind bars. Most of all, he reminds readers about the value and importance of humility as well as striving to always make the right decisions in life. Soon, Robison’s “From Pride to Prison” will join the upcoming 2018 Miami Book Fair International. From November 11-18, 2018, this highly-anticipated affair is set to celebrate literary creations from different genre types. During this eight-day affair, book lovers, writers, and publishers will gather to join the festivities so it’s definitely an event that’s worth checking out! Adrian Rand Robison is a husband, father, cowboy, rancher, grandfather, and great-grandfather, born and raised in the wide-open spaces of southeastern Idaho. He spent 36 years in the life insurance and financial services industry, reaching the pinnacle of his profession as a Chartered Life Underwriter (CLU), a Life Underwriter Training Council Fellow (LUTCF), and a life-qualifying member of the Million Dollar Round Table and Top of the Table, the ultimate standard of excellence for life insurance professionals. He was a registered representative with series 6, 7, 65, 63, and 26 licensing. He developed The Legacy Network into the state of Idaho’s largest insurance brokerage. He is also an ex-convict, having served four months at the federal penitentiary in Long Beach, California, at the age of 68, for rebating insurance premiums. His book, “From Pride to Prison,” is a story filled with humor, tears and plenty of cowboy logic that warns of what can happen when you stand on the summit of success and allow hubris to distort the view.